Welcome to Bandit Tree Equipment and thank you for taking the time to visit our website! 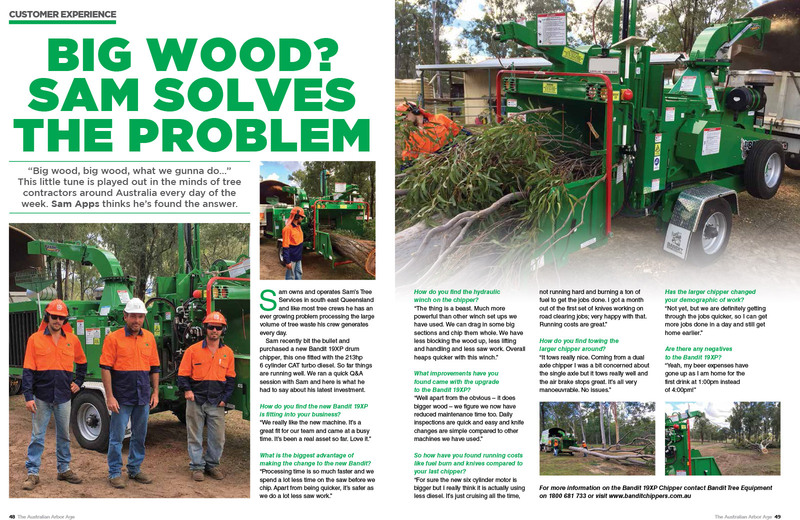 When you purchase a Bandit woodchipper or a stump grinder, you are investing in a “whole of life” equipment solution for your business. We are there at the beginning when you take delivery of your Bandit, and will be beside you every day that the machine is a part of your business – that’s the Bandit Promise, and a responsibility we accept with absolute focus and dedication. 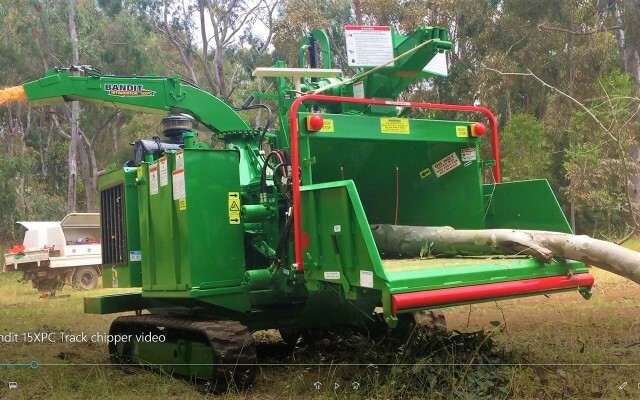 Established way back in 1986, Bandit Tree Equipment is the Factory Authorised Distributor for Michigan USA based Bandit Industries Inc. servicing the entire continent of Australia, (excluding South Australia.) 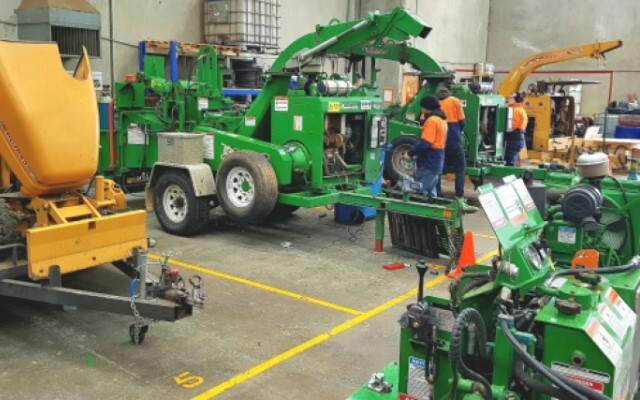 Employing over 35 dedicated specialist staff, Bandit Tree Equipment has modern sales, service and parts support facilities conveniently located near major motorways at Seven Hills in Sydney, Acacia Ridge in Brisbane, Knoxfield in Melbourne and Bayswater in Perth. 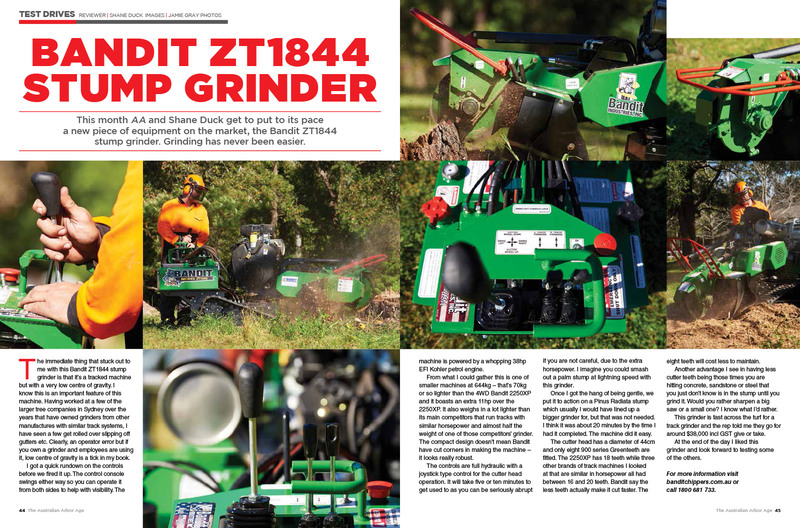 This month AA and Shane Duck get to put to its pace a new piece of equipment on the market, the Bandit ZT1844 stump grinder. Grinding has never been easier. 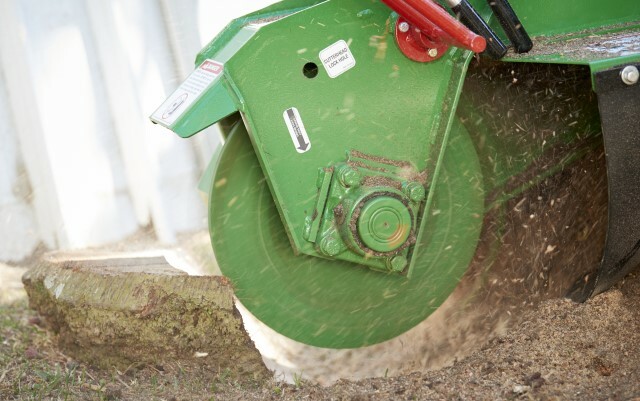 When the call from AA came through the Training for Trees office to see if we would be interested in test driving the new Bandit 21XP Chipper, there was no hesitation in accepting. 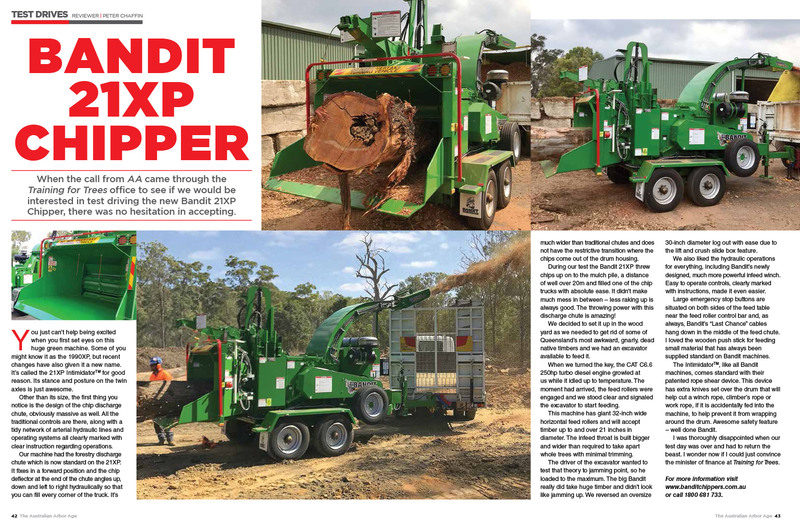 Bandit model 19XP chipper – Sams Trees problems solved! “Big wood, big wood, what we gunna do...” This little tune is played out in the minds of tree contractors around Australia every day of the week. Sam Apps thinks he’s found the answer.